The second installment of The Unicorn Chronicles is much longer than the first. Once again this series is done mostly from memory. Cara must return to Earth to save her grandmother, the Wanderer. 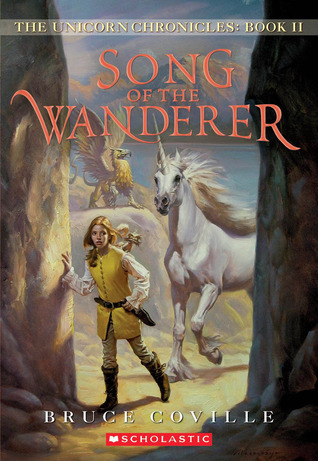 But to do so, Cara must first travel through the wilderness of Luster, land of the unicorns, full of unknown creatures and perilous adventure around every bend in the road. Only at the back of the dragon Ebillan's cave will she find the gate that can return her to Earth.